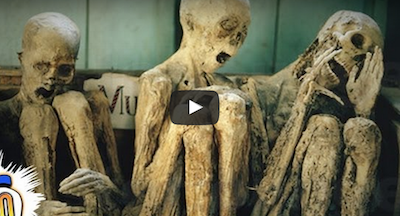 20 Of The Creepiest Places In The World You'll NEVER Want To Visit! 20 Of The Creepiest Places In The World You’ll NEVER Want To Visit! From abandoned towns to underground vaults of death, these are some of the most terrifying and creepiest places in the world that you will probably never want to visit. After watching this video, you will be thankful you are safe at home. Angry Wife Writes The Best “Thank You” Letter To Cheating Husband’s Mistress! Teen Cries In Court After Killing Girlfriend’s Son, But Judge Proves It’s All An Act!